Zinc metallizing can be used to coat any metal and is a great alternative to galvanizing. Not only is it portable, cost effective and corrosion resistant, metallizing also creates a surface for paint application that is superior to that of galvanized steel. Barnes Manufacturing Services, of Marion, IA, has the equipment and experience to apply thermal spray zinc for your product or project. How Does Zinc Metallizing Work? A molten metal, such as zinc, is applied to another metal surface like iron or steel for a protective coating. This procedure is easier on metal than galvanization, because it does not use vats of liquid heated to 800 degrees. 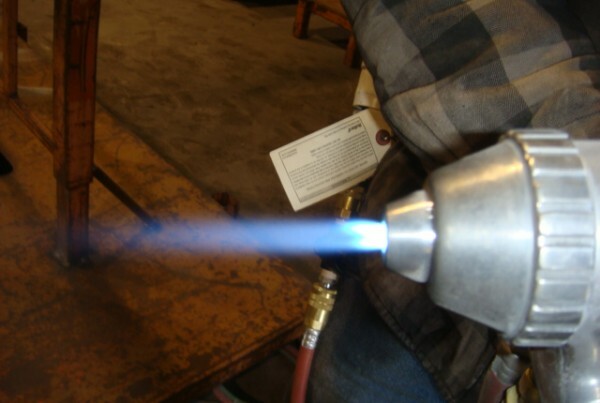 Zinc metallizing requires 425 degree heat, which will not melt most treated metals. The closest manufacturers that offer galvanization services are in Chicago, and due to the temperature and equipment needed, they are few and far between. You can bring your products, big or small, to Barnes Manufacturing Services and we can get the job done right here in Iowa. Our team can finish almost any production job, from product design to delivery, right here at the Barnes Manufacturing Services, and if we can’t do a little portion of the job, we have trusted resources who care about your product as much as we do. With a custom manufacturing and CNC machine shop next to a fabrication shop, and assembly and paint services on our property, our comprehensive services can save you production time and shipping costs.